BookBuzzr recently interviewed Fiona Ingram who is the author of the book ‘The Secret Of The Sacred Scarab’ which was nominated a Finalist in the Children’s/Juvenile Fiction section of the USA 2009 Next Generation Indie Book Awards, as well as the USA National Best Books 2009 Awards. It was nominated a winner in the 2009 Readers’ Favorite Awards. It was also listed number 2 in The Children’s & Teens’ Book Connection Top 10 Favorite Books of 2009 for Kids, Tweens & Teens. Fiona Ingram, born and educated in South Africa, is a full-time journalist and editor. Her interest in ancient history, mystery, and legends, and her enjoyment of travel has resulted in The Secret of the Sacred Scarab, the first in her exciting children’s adventure series–Chronicles of the Stone. Fiona Ingram’s earliest story-telling talents came to the fore when, from the age of ten, she entertained her three younger brothers and their friends with serialised tales of children undertaking dangerous and exciting exploits, which they survived through courage and ingenuity. Haunted houses, vampires, and skeletons leaping out of coffins were hot favourites in the cast of characters. 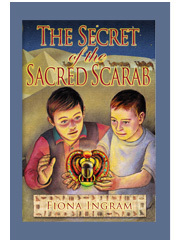 Although Fiona Ingram has been a journalist for the last fifteen years, writing a children’s book–The Secret of the Sacred Scarab–was an unexpected step, inspired by a recent trip to Egypt. The tale of the sacred scarab began life as a little anecdotal tale for her 2 nephews (then 10 and 12), who had accompanied her on the Egyptian trip. This short story grew into a children’s book, the first in the adventure series Chronicles of the Stone. The author is already immersed in the next book in the series–The Search for the Stone of Excalibur–a huge treat for young King Arthur fans. Naturally, Fiona is a voracious reader and has been from early childhood. Her interests include literature, art, theatre, collecting antiques, animals, music, and films. She loves travel and has been fortunate to have lived in Europe (while studying) and America (for work). She has travelled widely and fulfilled many of her travel goals. 1. 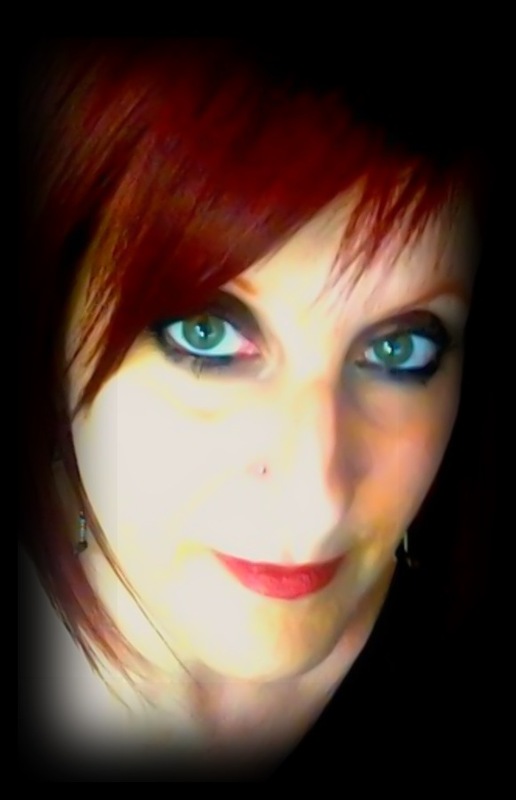 Welcome to BookBuzzr blog, Fiona. Will you please share a little about yourself with us? I live in South Africa and have been a freelance writer for the past 15 years. I changed my career after I wrote my first children’s adventure novel The Secret of the Sacred Sacrab. I still do freelance writing, but my focus is now mainly on my children’s book series, Chronicles of the Stone. 2. How and why did you become a writer? Actually I had always wanted to be an actress and studied drama at university, as well as English and French literature. Later I won a scholarship to study drama in London and mime in Paris. When I came back to South Africa, there weren’t many acting opportunities so I started doing a lot of community theater with local actors. 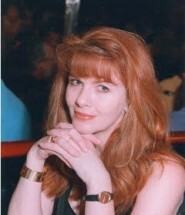 I also wrote all the press releases and publicity for marketing our productions. Gradually I found myself moving out of the world of theater and into the world of writing. 3. What’s the most challenging aspect of writing? I absolutely love writing so I can’t say I feel any challenges in the physical craft of writing. If I don’t feel inspired or the creativity is Sluggish, I do other stuff like write a few articles, do more research, or watch movies to jolt my imagination. It doesn’t take long for me to get back into the swing of things. For me the hardest part is marketing one’s work and getting it out there to a large readership. 4. Do you feel as if the characters live with you as you write? Do they haunt your dreams? Absolutely! I often have conversations in my head with my characters, sometimes a dream will inspire me to move forward where I may have felt a bit uninspired. I also ‘see’ the whole scene unfolding in my head like a movie – very useful for imagery and description. Sometimes new characters pop up in my writing and it always surprises me because I may not have planned for them. The problem is that they don’t budge until I have realized why they are there and ‘made a place’ for them in the story. This happened recently in writing my second book. An interesting character popped up with a very unusual name. In fact, so unusual that I looked it up. The name was of an ancient war leader, sort of relevant to my story, but not vital … so I thought. I later did a bit more research and suddenly found the ‘hook’ whereby this seemingly obscure character becomes very important. My advice: never deny characters entry to the page! 5. Where or how did the idea of The Secret Of The Sacred Scarab originate? What inspired you? Amazingly enough, the book was inspired by a trip I did not want to take. My mother insisted on going to Egypt and taking along my two young nephews, then aged 10 and 12. 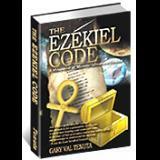 I love Egypt in books, have lots of books on the history etc, and am greatly inspired by this ancient culture. However, I thought the reality would be too hot, too uncomfortable and would destroy my rose-colored imaginings of this ancient culture. To my surprise, I really enjoyed the trip and found it incredibly inspiring. I collected all sorts of notes and souvenirs (journalistic habit) and when we got back I decided I’d write my nephews a short story with them in the starring role as the heroes. The short story turned into a book which turned into a series. So … never say no when you are offered a holiday to an exotic destination! 6. What has worked best for you when marketing your book? I knew absolutely nothing about marketing when I started my book project. I knew how to write, little realizing that the hardest part is the marketing. I had to learn the ropes first and I did that by subscribing to really good author or book marketing newsletters and blogs, and then taking the advice that I felt worked for me, or else was possible. Living far away from the action has been a bit of a drawback. It’s hard to say what has worked best because I divide my efforts between: Twitter, blogs, writing articles (which have got me noticed in the kidlit arena) and being an absolute pest when it comes to asking people to review my book and/or interview me. I have just started author readings at local schools and that has helped. By the way, my book is on BookBuzzr and I get lots of tweets from that! 7. If you could travel back in time for one year, what time and place would you choose? And if you could only take 3 things with you, what would they be? 8. In college, what were your favorite subjects? What are your current hobbies? I loved (and still do) history and reading. I love anything artistic and cultural – I am an avid traveller so I adore historic monuments, old buildings, theater and dance, art galleries etc. 9. What were some of your favorite books when you were growing up? I loved all the children’s classics and still have many of my old favorites in the bookshelf. My very best reads: The Wind in the Willows, The Water Babies, The Little Princess, Chronicles of Narnia, Little Lord Fauntleroy, Little Women, Anne of Avonlea. 10. Would you like to share about your next book? My next book takes my young heroes Adam and Justin Sinclair to Scotland in search of the next Stone of Power. The book is called The Search for the Stone of Excalibur and (believe it or not) an old sword from the Dark Ages has been found and it might just be … Excalibur! Adam and Justin are, however, not the only people on the trail of the Second Stone of Power. Their old nemesis, the evil Dr Faisal Khalid whom they met in Egypt, is back (with reinforcements). They are also under attack from a mysterious group of monks that dates from the Eleventh century, called the Eaters of Poison. Contact with them could be fatal. However, Dr Khalid doesn’t play games and what he wants, he gets, even if it means killing someone to get it! You can read the first chapter by visiting www.chroniclesofthestone.com and finding the relevant icon on the ancient map of the world. Have fun! BookBuzzr thanks Fiona for such a marvellous interview. Connect with Fiona Ingram on fReado.